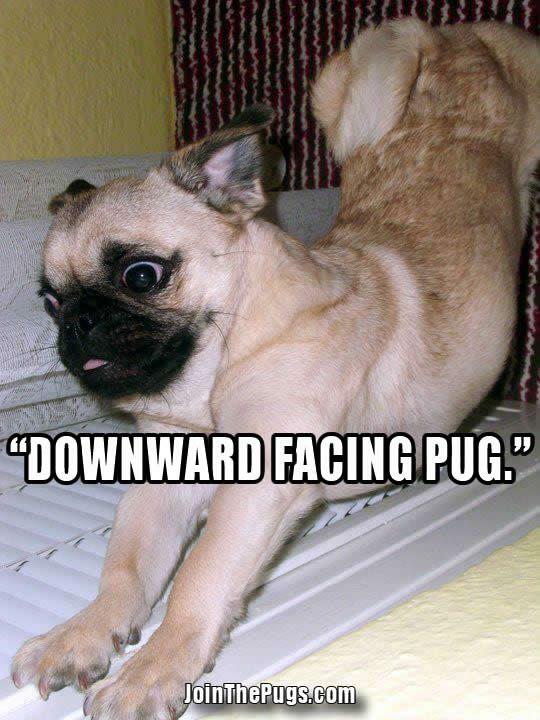 Humans are not the only ones who can do Yoga. Just look at this Pug, giving ‘downward dog’ a whole new meaning! Thank you Emira B. Shaipi for the photo! 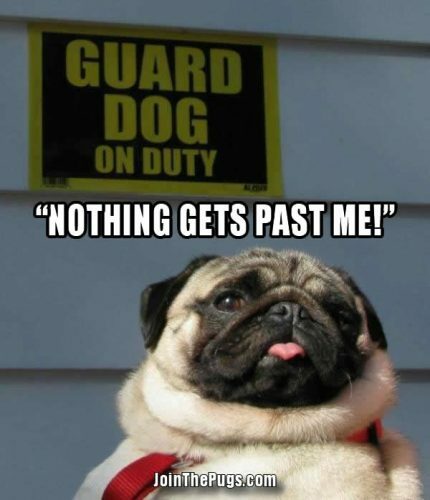 Don’t mess with this Guard Pug! 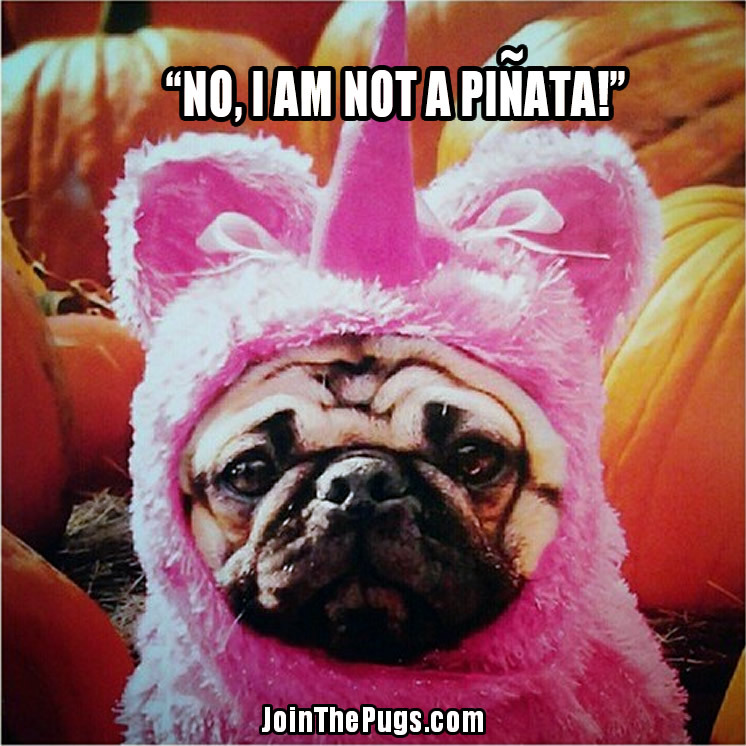 He will kill you with cuteness 🙂 What bad person could resist the charms of a beautiful Pug? Ah, the eternal struggle of the Pug and food. We are happy to see this delightful young Pug has been hitting the gym and working off those ounces to stay in shape. 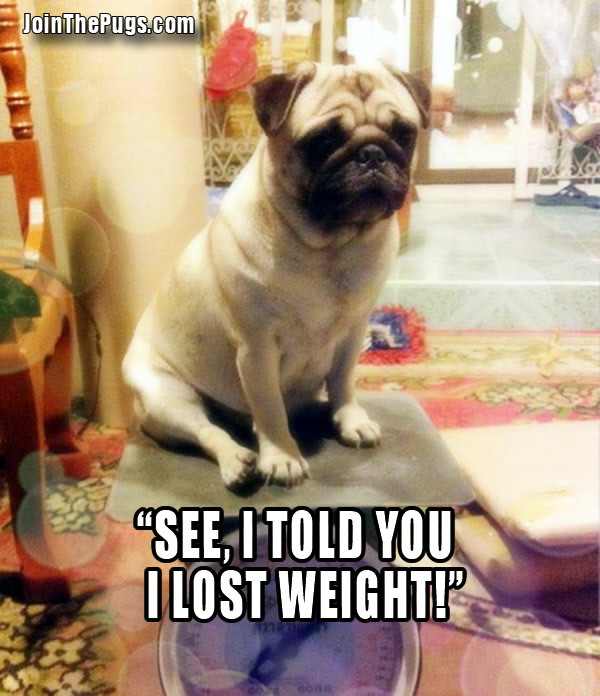 After all, a Pug must maintain their cute figure! 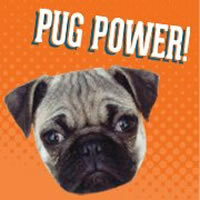 Can a Pug get some food on their empty plate? We are happy that one of our recent posts on Facebook has been shared so much! 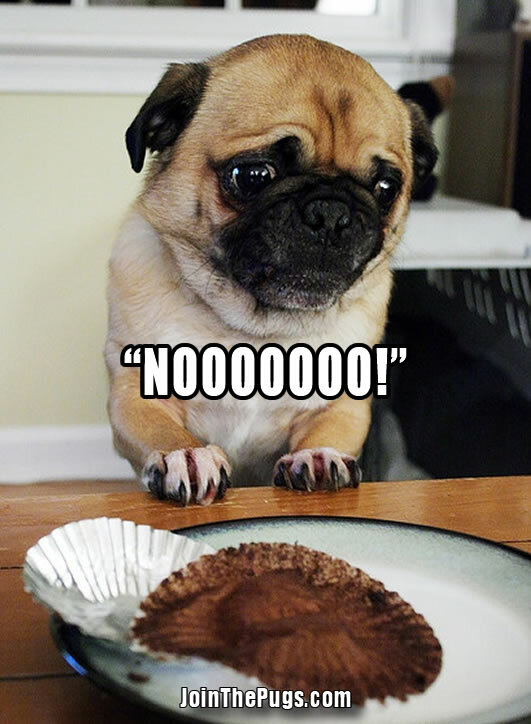 We feel this photo illustrates the exact look on your Pug’s face when they realize there is no more food for them. 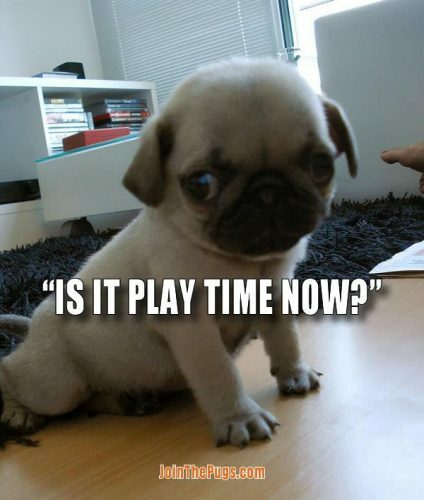 Heartbreaking, but oh so cute!